My holy great-great-grandfather in his commentary Tefillah Lemoshe on Tehillim (127:2), speaks about the oath “not to force the end”. He mentions Rashi’s explanation, and comments that it is hard to understand because we don’t know the limit of permissible prayer. Therefore, he explains that “forcing the end” it is akin to the expression “forcing the hour” (Berachos 64a, where the meaning is hurrying to take something such as a high position). Here too, the oath states that they should grab onto empty hopes before the coming of moshiach, as did the Shabsai Tzvi moment, for those people who pursued emptiness too early actually ended up causing the exile to be prolonged, because of their very wicked acts against the Jewish people. The Yismach Moshe uses this idea to explain the verse in Tehillim: "Vain it is for you who get up early and settle down late, eating the bread of sadness.” The word "kum" (get up) is used in another place (Amos 5:2) to refer to the Jewish people's arising from exile. Thus "mashkimei kum" (those who get up early) means those who make early the arising from exile, i.e. those who force the end of exile, attempting to end it through falsehood and emptiness before the proper time. By so doing they are settling down late – prolonging the exile. “Eating the bread of sadness” means that on Tisha B’av, when all Jews are fasting and mourning and full of sadness over the destruction of the Temple, they (the Shabsai Tzvi movement) are eating and rejoicing. 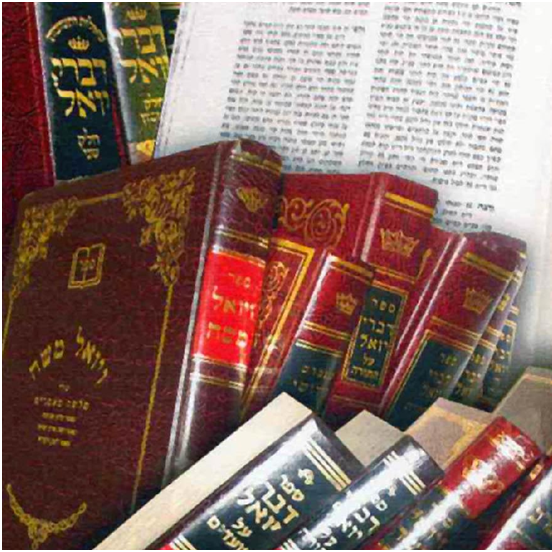 “This is a real reference to events of our time that Dovid Hamelech placed into Tehillim with his prophetic spirit,” concludes the Yismach Moshe. The Yismach Moshe spoke prophetically, and he foresaw that [in the era of Zionism as well] those who eat the bread of sadness on Tisha B’av, and arise to bring a redemption to the Jewish people before the time, are those who prolong the exile, unfortunately. We will talk more about this later [in Siman 84]. The Yismach Moshe’s explanation of the oath against “forcing the end” is the same as that of the Rambam and the Midrashim. But we have still not found an explanation of Rashi’s words. Our Sages say that Hakadosh Boruch Hu made the Jewish people swear that they wuld not force the end. This is difficult to understand what is forcing the end? It cannot mean coming en masse to Eretz Yisroel, because that is already stated in one of the oaths – “that they should not go up as a wall.” And if we are to follow Rashi’s explanation that forcing the end means not to pray too insistently, that is even more difficult to understand – what is the boundary line between proper prayer and excessive prayer? And furthermore, why don’t we find in the Gemara, the Rambam or the poskim this prohibition to pray too insistently for the redemption? I think we could answer this based on the way Chazal explain the verse (Devarim 6:13), “You shall fear Hashem your G-d and serve Him, and cling to Him and swear by His name.” And Rashi says, “If you have have all of the above qualities, you are allowed to swear by His name.” The commentators [I was unable to find out who this refers to] explain [that this does not mean an ordinary oath such as an oath that one does not owe money, or an oath that one will or will not do something. Those oaths do not require one to be on any special spiritual level.] Rather, we are talking here about an oath like that of Eliyahu when he said (Melachim I 17:1), “By the life of Hashem, G-d of Israel, there will not be in these years any dew or rain unless I say so.” Another example of this is the oath of Choni the Circle Maker (Taanis 19a), who swore that he would not come out of the circle until Hashem sent rain. Such an oath is only permitted for someone who has all the qualities listed in that verse: fearing Hashem, serving Him and clinging to Him. For such a person, Hashem fulfills the words of His servants and the counsel of His angels. For anyone else, it is a vain oath. According, that is the meaning of the oath against “forcing the end”: it refers to people on such a high spiritual level, who might attempt to force the end using an oath. The Chasam Sofer gives a similar explanation (Likutei Shailos Uteshuvos Siman 86) that the oath means not to do as Rabbi Yosef Della Reyna did, using adjurations and the like. [This refers to the 15th century legend of a kabbalist from Safed who, together with five disciples, underwent numerous purification rituals and pronounced kabbalistic formulae and angelic adjurations in an attempt to force moshiach to appear. The story was later embellished and widely circulated in Europe.] But any amount of regular prayer, says the Chasam Sofer, is permitted. Now, although this is a good way to explain the words of the Gemara “that they should not force the end,” it is hard to fit it into Rashi’s language, for Rashi says, “That they should not pray too much.” Rashi does not mention any oath or adjuration, only prayer. So we see that even in prayer there is a limit, and we are left without a clue as to what that limit might be. In fact, most of our prayers revolve around exile and redemption, and righteous men have always devoted their very lives to praying for the redemption. So what amount of prayer is forbidden under the oath?